Easy 3-Ingredient Cauliflower Soup – Simple and delicious recipe for pureed Cauliflower Soup, needs only 3 ingredients. 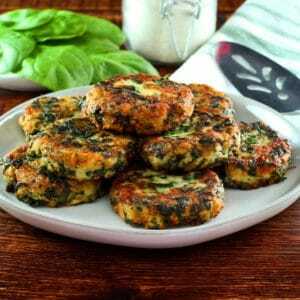 Vegan or vegetarian, gluten free, low carb, healthy, light. 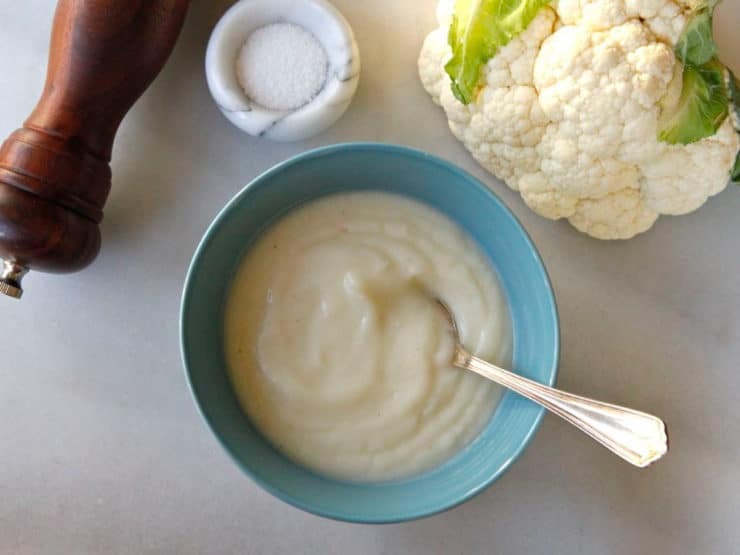 We began chatting about our favorite cauliflower recipes, and he pointed out a recipe on our friend Elise Bauer’s website – Simple Cauliflower Soup, which was actually inspired by Garrett and blogged about by Elise. I tried it the next evening with dinner. Garrett recommended roasting the cauliflower first, but I was feeling lazy so I made it the way Elise describes on her site, which took all of 10 minutes. Holy. Moly. I can’t describe how easy and tasty this soup is!! I am officially addicted. Since my conversation with Garrett I’ve made it several times, and I’ve discovered some things along the way. First of all, the soup really only needs 3 ingredients – cauliflower, salt and pepper (well, and water, if you’re counting that as an ingredient). Adding a high quality butter is highly recommended, but it’s actually delicious without the butter too– which means it can be made completely dairy free. Don’t skimp on the salt, it greatly enhances the flavor of the cauliflower. Blending this soup produces a silky, velvety texture and a really creamy flavor without a drop of cream. Once you’ve nailed the basic concept, which couldn’t be easier, you can dress it up with all kinds of condiments. Garrett recommended a pinch of blue cheese, which was heavenly. Elise tops hers with chives and olive oil or truffle oil/salt. Last week I topped mine with za’atar and a drizzle of sesame oil. So many possibilities! This is also the perfect opportunity to give my friend Elise a shout-out. 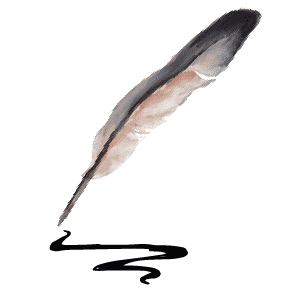 If you’ve ever Googled a recipe, chances are you’ve been to Elise’s website, Simply Recipes. 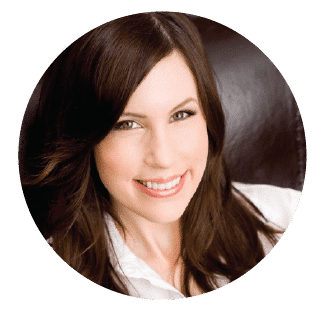 She has been a food blogger for years and has managed to blog about many, many fantastic dishes. She does it with intelligence, simplicity, and class. Her recipes work. She’s a kitchen rock star and I highly recommend her website. See her version of the soup here, and read more about Elise here. I’ve posted links to some of her other recipes as well as Garrett’s below. This soup can be made vegan or vegetarian (if you’re okay with dairy add the butter, it’s so worth it!). It’s naturally gluten free, low carb, low calorie, creamy, filling and amazing. It’s also kosher for Passover! Even though it’s a light soup, I find that more often than not it satiates my hunger. If you have a high-powered blender like a Vitamix, the result will be even more velvety. Highly recommended! 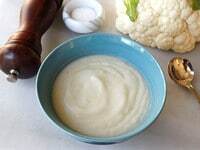 Simple and delicious recipe for pureed Cauliflower Soup, needs only 3 ingredients. Vegan or vegetarian, gluten free, low carb, healthy, light. Cover the blender carefully and blend, scraping the sides as needed, until the soup becomes a smooth puree. You may need to add more cooking water to achieve a soup-like texture. The longer you blend, the more silky and smooth the soup becomes. Add salt, pepper, and butter to taste. I use about 1 tbsp butter for a whole head of cauliflower (1/2 tbsp per batch). Salt is your friend here, if the soup is tasting bland don't be afraid to add more. You can also add some good quality olive oil or Earth Balance instead of butter if you'd like a richer flavor without dairy. I love this recipe and make it all the time. However, I am having some health issues and need to make it without salt. I am also allergic to onions and garlic. What would you use to spice it up? Please be specific. I am a rookie in the kitchen. Thanks! Clean, simple recipe. Thank you! Terrific recipe, as Usual: just what I was in the mood for on a chilly night. We added a sprinkle of Siricha sauce on top. Yeah, it looked pretty. I clicked on Your blender recommendation which led to Vitamix 5200 (I think). Why that particular model over others? Thanks. Bernadette– that is the Vitamix model I own, which is why I recommend it here. I really like it. But any blender works! Wow! I can’t believe how easy this is to make and how great it tastes. I topped mine with butter, Hawaiian Red Sea salt and pepper. I will make this again many times. I’m so happy I tried it. I gently blanched 2 large heads of cauliflower in water, for about 4 minutes. 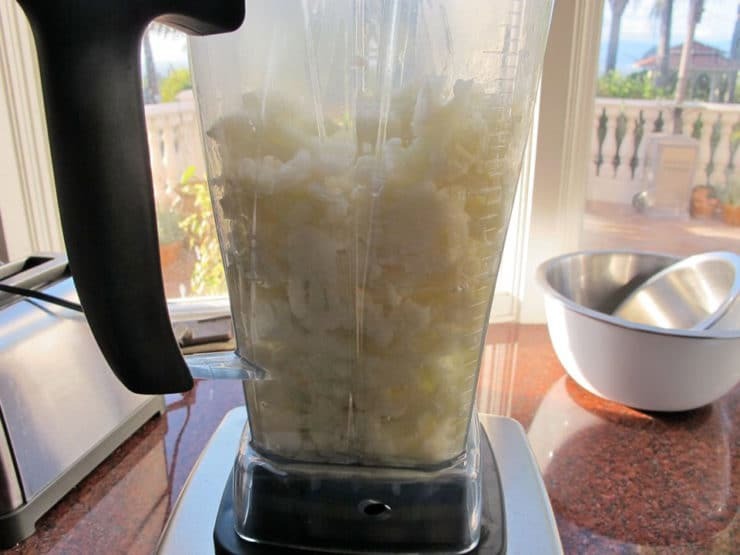 I then blended the cauliflower in my Vitamix, using the water that the cauliflower was blanched in. I blended in three separate batches, transferring each one to a large pot when completely creamed. In a smaller final batch, I added 1 cup butter, and some onion and garlic which I had sauteed earlier. I also added some hot horseradish. Final step was to add that last batch to the large saucepan and heat the whole lot through, adding any salt or more horseradish to taste. I always top the bowls of soup with some chopped pear and crumbled blue cheese. I have also added unsalted, raw cashews to the final batch at times. It’s a wonderful soup that is very versatile. I forgot to add butter but don’t think it was missed. I decided to use chicken broth and omit the salt (there’s a ton in the broth). Also added a bit of curry powder along with the garlic and pepper. The end result was delicious. Such an easy recipe and you can customize it so easily! Thanks. So you used chicken broth in place of the water? How much did you use? I love to try it with the broth everything cooked in broth taste so yummy like it has butter in salt in it already! soooo…. easy and delicouse creamy cauliflower soup. I reduce the salt to 1tsp instead of 2 tsp, will make this delicious soup more often. Thanks Tori for sharing this recipe! I served it cold the next day. It was great! Can I use broccoli? Cauliflower is about $5 a head here. Ouch!!!! Yeah what is going on w cauliflower production? I saw it by the pound and most of it you cut away! Does anyone know if you can use an emmersion blender instead? I only have a magic bullet, not a real blender. Morgan, yes you can do that, no problem. Would you use all the water when using the immersion blender? Deb– I wouldn’t, it will be too watery. 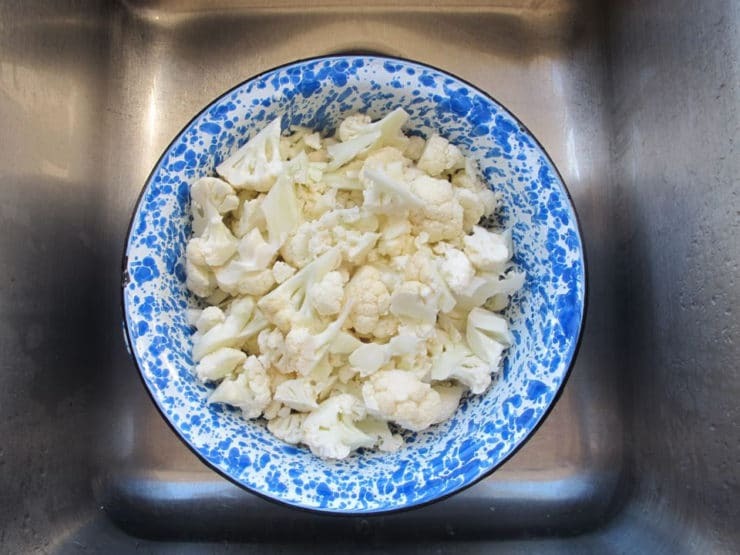 Instead, strain the cauliflower out, place back in the pot, and reserve the cooking water. Add it back slowly as you blend, as directed in the recipe above. A deliciously simple recipe! Thank you so much. As a student, I do not get much time, nor have the patience, to cook something more elaborate, but this simple recipe is sooooo good. I made it the other day as the recipe said and it came out just perfect. I added two green chillies and a bit of ginger to make it a bit flavourful though. I look forward to more simple recipes from you. I just made this and it is delicious. I have been trying different ways to make cauliflower and I did not any of it. I will be making this from now on. I just made this soup tonight. Love it! I added onions and curry. It’s wonderful that this can be made as thick as the recipe says, but can also be thinner if so desired. I am going to make this quite often as I like cauliflower. Tori, this was amazing!!! My daughter & I went Vegan over a year ago, but we want more simply, quick, delicious recipes and with just a few ingredients! This cauliflower soup was on point, we had some sliced porta bella mushrooms and fresh spinach, I sautéed with little garlic pepper & salt in a little olive oil!!!!! Added to the cauliflower soup!! OMG!! We almost ate the whole batch! Thank you for what you’ve created. All the best!! I was skeptical of this recipe, but gave it a try based on the reviews. I followed the recipe as written and it was barely palatable, tasting like overly salted cauliflower. I added a little half & half to the bowl which improved it a bit, but would not make this again. I’m so sorry to hear that Brittany! This is one of our family favorites, and as you can see many readers like it as well. However not every recipe will be a good fit for everybody. Better luck next time! My husband and I made this tonight for a family Chanukah dinner, and everyone could not stop raving about it! We added lightly sauteed leeks (before blending the soup with an immersion blender) for a little more depth to the flavor, and it was outstanding! Thank you for this incredibly simple recipe. We will be making it to impress guests again very soon. OMG – soooo good. Boiled cauliflower florets in salted water and then added 15 grinds of black pepper and about 4 tablespoons plus of Kerrygold Irish butter and blended in the cooking pot using immersion blender. So easy. The butter makes it! Simple is better in this case. That recipe is the bom. However, I added a half of a celery stick, a third of a cup of onion and a melted tablespoon of unfiltered Coconut Oil. Also 2 teaspoons of salt. That was truly amazing. Thank you so much. such an easy and wonderful soup. Thank you for the recipe. Wanted to know what I would do with this head of cauliflower, so not to let it spoil. This cold rainy day, perfect for soup! Followed your recipe but added scallions and garlic and red pepper and some curry for a little bit of bite. It was absolutely delightful! Will try cup with Parmesan to see difference. I almost never make things from scratch, but this is so easy and fast. I was amazed. In fact, it was only a 2 ingredient soup for me. When I started tasting it, I was so hungry and it tasted so good that I just kept eating it and forgot to add pepper. It definitely doesn’t need the butter either. I only used half of the salt thinking that I could always add more and I didn’t need to. It tasted plenty salty to me. I also used 6 cups of water and used it all since I like my soups a little thinner. Tori, can you please try to create a celery or cabbage soup as simple and healthy as this (with a blender and saucepan). It might be good with cauliflower too. I would love it!! It’s that time of year where a hot bowl of soup is so satisfying, filling and warming. Thank you! p.s. If you don’t feel the urge to whip up a new recipe, how could I incorporate the celery or cabbage into this one? (Sorry, I am an amateur cook). 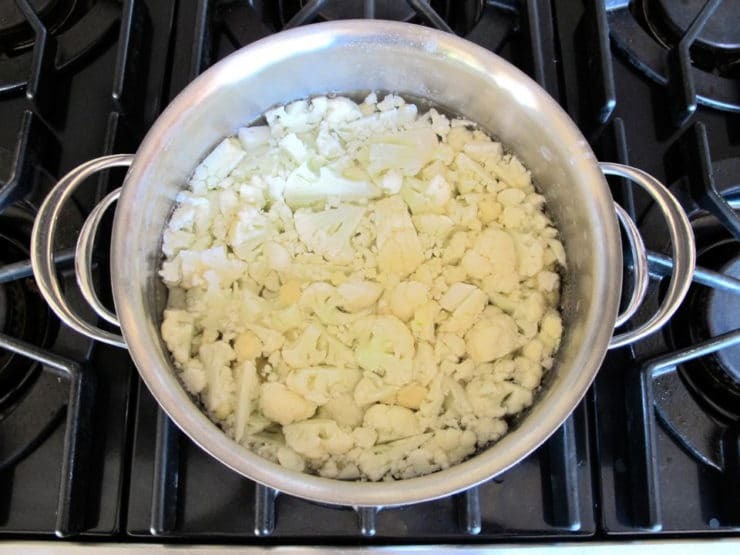 I will work on something similar, Jean– I would think you can simply boil some diced celery and/or diced cabbage along with the cauliflower, adding additional water to the pot when you boil and blending in stages so you don’t overwhelm the blender. Glad you’re enjoying it! Oh, I forgot to rate this recipe. Also, instead of using butter in the recipe, drizzle 1/4 teaspoon of olive oil over each bowl of soup.. Finally, a decent simple and healthy recipe. Thank you. I decided to add what I had on hand; smoked bacon, chopped green onion and minced garlic. It was the best non-dairy soup I’ve had in a long time! I’m so happy to have a versatile base soup that can be used for anything. Next on the agenda, broccoli cheese soup made with this baset for the boyfriend ? Added 1/2 sautéed onion and chopped celery. Fantastic! I never tried this before.but i wonder how an apple would taste.I also topped the soup with garlic flavored breadcrumbs.or cheese flavored breadcrumbs. I can totally vouch for this one. It’s delicious! And my kids (10 and 15) beg for it! I love cauliflower but did not enjoy this recipe. It was easy to make, but I had to add a ton of cheese to make it even palatable! If you want to make it again, i changed the recipe up a bit ..
instead of boiling the cauliflower with water i done it with 1L chicken stock and 1 large onion roughly chopped( which you dont add salt to since its full of sodium already ). i also added some onion flakes and mixed herbs to taste. Once this was ready i pureed it as the recipe instructed. the soup is then more flavoursome which i also added some soy sauce to at the end. I used a stick blender rather than apricessor and it works just fine. Very clear instructions made it super easy to make .. My only criticism is it is far too salthy for my taste which hides the delicate cauliflower flavour. I might try adding a little garlic next time. First time I’ve ever commented on a recipe online. Absolutely delicious!! Made it exactly as stated. Will definitely make again! Do you think using chicken bone broth would overpower the soup? I like to work some into meals for the health benefits. Jana I’m sure it would be lovely in this soup; just keep in mind if the broth is salted, you may need to salt the soup less. Enjoy! OMG so simple, delish, and healthy! I used olive oil instead of butter. I’m glad I reserved the water it boiled in; I added back nearly all of it. Tried some garlic but preferred the taste of just the 4 ingredients. Next time: Will try oven roasting the garlic instead of boiling, to see if I prefer that. Might try it with some low sodium chicken or vegetable stock. Oops! I meant oven-roast the *cauliflower* … although roasting a few cloves of garlic with it might not be a bad idea. I just tried this yesterday and loved it! I definitely wasn’t skimpy on the salt and I actually added an extra tablespoon of butter and some turmeric for it’s health benefits! ; ) Thanks for the awesome idea. It’s so easy and nutritious. I love it! I make this soup for my afternoon snack… I have it at least 3 times a week! It’s so delicious and I absolutely love it! I don’t eat dairy so a good heaping of olive or truffle oil, makes this dish a winner for me! When I told my husband that I was going to make this soup last night… his face wrinkled up and he said, ‘I don’t like cauliflower’. I said that he didn’t have to eat it, but I was still going to make it for me. He suggested that I add an apple and he would try it. I also added some chives on the top and some grated parmesan cheese on his portion. What were his first words when he tasted it ….. ‘THIS SOUP IS AMAZING’. I put chives and crumbled blue cheese in mine. Next time I’ll add peas. Made this last night. Yummy! I wanted to report that I blended this with a stick blender and had a very good result, but I did blend it for about 5 full minutes. The soup on it’s own is probably a 3 or 4 star, but coupled with the extremely simple and fast prep makes it a 5 for me! Cold and snowing outside. Perfect for today. Made it so quickly I decided to make it twice and use both heads of cauliflower! I added club house spice roasted garlic and peppers then added OUD certified Kraft jalapeño cheese stick (shredded) to my own bowl. Soooooo yummy. A new weekly staple in my house! And great for weight watchers! I have made cauliflower soup for many years, but with skim milk since I did not need it to be for a kosher meal. An additional ingredient that really turns it into something special is the addition of freshly ground nutmeg to taste. This soup is unbelievably delicious! I tried making it because it seemed ridiculously easy but I was not prepared for just how creamy and delicious it actually tastes. I sent a link to this recipe to my two grown children and I can’t wait to make it for my mom. This is exactly the reaction I had, Ilana. So happy you enjoyed it! This is an exact replica of Gordon Ramsey’s infamous broccoli soup recipe. Nice to see it works with another veg. Don, I’d never seen Gordon’s recipe before your comment. Great to know it works with broccoli too! I love his suggestion to serve with goat cheese and walnuts. Will try his version soon! Caro I have never frozen it so I’m not sure what the result will be. It does refrigerate well. this was so amazing. i made it today and my mom absolutely loved it. who knew three ingredients could be so amazing!! thank you for sharing! Would this work cold, perhaps with the addition of leeks as in a potato soup. (Vichyssoise)? You are so kind, thank you! I’m so glad you like the soup. Isn’t it wonderful when the most simple things can taste so good? I make a simple cauliflower soup like this but I add curry. It’s yummy, try it. Yes, you’re right but I always soak the whole head of cauliflower or broccoli into salty water for 20 mins, later the little worms will drop into the water. In fact I soak all veggie in water with 1 spoon of salt added. Sounds good. I’d add a little fresh dill. Been making this for years!!! (Haven’t read the previous comments) I cook onions first, add cauliflower, soften, then add 900ml carton of no salt added vegetable broth. The rest of recipe is just like yours. Love this!!! I will put some truffle oil on this before serving. Also you can add apple/parsnip if you like it sweeter. If you are not worried about milk, I’ll add a dollop of Greek yogurt for protein or cheddar cheese before serving. I’ve also roasted the cauliflower if I have time or feel like getting “fancy”. It is a go to recipe for me. You can also do this with carrots. I also use chicken broth not just water for more flavour. 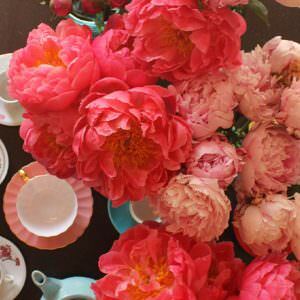 Sounds like a great spring dinner, maybe with a salad with roasted/grilled asparagus with crumbled bleu cheese, a nice baguette and a glass of rose? Nom. Thank you very much. This is fast and easy. Good for all year too! I make the cauliflower salad using all the same ingredients except for the garlic but add israeli cous cous to it. We have it as a meal it is so good. I just made that the other night (with a smidge of blue cheese crumbled in, natch). My mother would make a fresh peas soup – based is chicken broth and dollop unsalted butter for creaminess. We’d eat this on fridays once a moth when peas were out! I used to live shucking peas but Id eat them raw. Sneaky! Love simply recipes and how easy this recipe is. Sounds like a perfect Passover lunch with a salad. Yum! I was thinking Tori, how if this is made with fresh peas or asparagus? Kimberley I added lightly steamed peas to it last week (based on my husband’s suggestion) and we both loved it! Gives it some nice texture and a burst of sweetness. asparagus is very fibrous, so if you attempt to blend it you will end up with stringy hairs from the asparagus stalk. i suggest processing the asparagus with a hand blender, then pressing the resulting puree through a sieve to separate the creamy goodness from the stringy bits. More K for P soups (other than matzah ball of course) please!! Yes simple and healthy! I’ve used cauliflower as a substitute for mashed potatoes. This could be a faux potato soup! Hi Emma, yes I don’t see why not, but it may take longer to get a smooth silky texture than it would with a traditional blender. 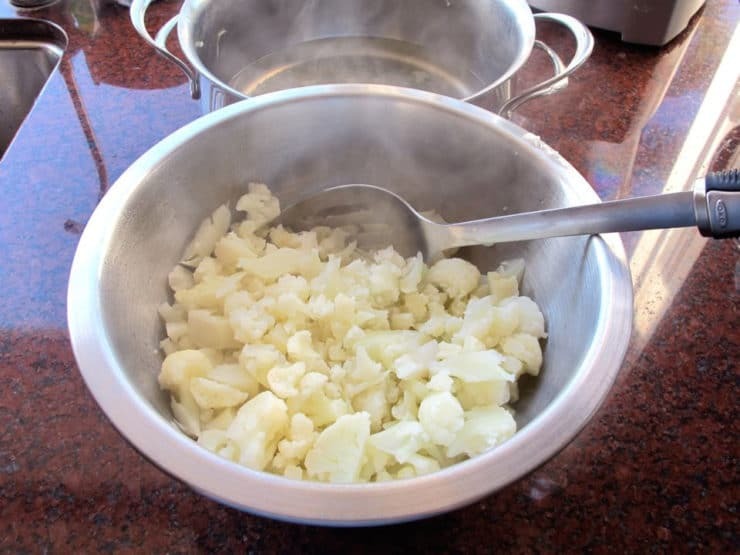 In that case I would drain the cooking water into another bowl, leaving the cauliflower in the pan, then slowly add the cooking water back, blending the soup till it reaches the desired consistency. Nice! I do this, but use it as a faux Alfredo sauce over pasta! Just add a bit of garlic and sprinkle of parmesan. Kids devour it. I would add some black pepper and crushed garlic,but yeah,looks delicious. 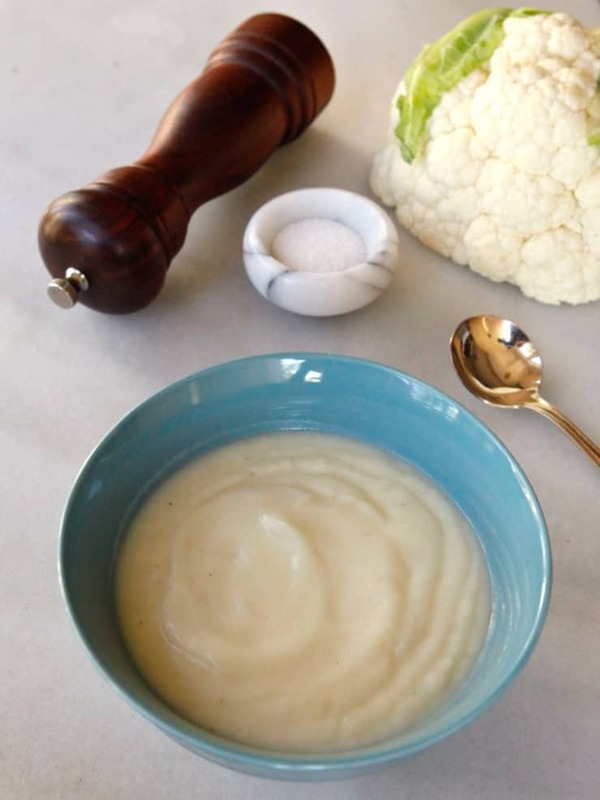 Cauliflower is really tasty when you add a roasted parsnip to the puree!